What always surprises me is how plants can survive in these harsh conditions. In the eastern parts of the archipelago there is only a growing season of 30 days per year. Permafrost, lack of water and nutrients, cold temperatures, the conditions are far from optimal for plants to grow. However, nearly everywhere we walk we do find plants trying to survive. 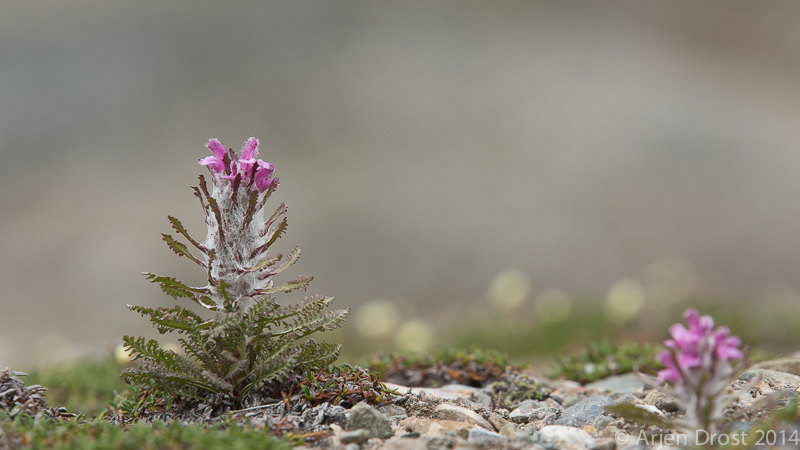 Here one of those diehards, the Hairy Lousewort.